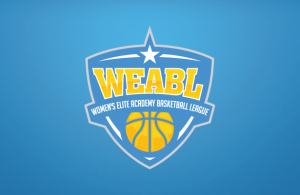 With the Semi-Finals under wraps, the stage is set for the WEABL Finals at Essex Sport Arena on April 3. Lets take a look back at Wednesdays Semi-Finals match-ups to see which teams have made it through to the big game! It was the Northern Conference #1 vs the Southern Conference #2 in a clash of the first Final Four game at Charnwood, which saw the Riders defeat Copleston 63-30 in the WEABL Semi-Finals on Wednesday. The game tipped off with a highly intense first quarter, which saw Charnwood take a small 13-10 lead. Charnwood would have 6 different scorers and Copleston were supported by good shooting from Cameron Taylor-Willis. The second was more of the same, with both teams going back and forth with some timely scores by Taylor-Willis and Becky Harwood-Bellis which kept the pressure on Charnwood. Some good shooting from Niamh Kelshaw and 10 points from Holly Winterburn then saw Charnwood go into the half time with a 7-point lead. However, the second half was a different affair, as some impressive shooting again from Kelshaw and Winterburn saw Charnwood increase the gap whilst Lucy Threlfall and Hannah Dawson also added to the scoreboard. Copleston struggled to score in the second and battled hard throughout, however, the 34-8 second half performance led to coach Nick Drane’s side being knocked out of this years playoffs. 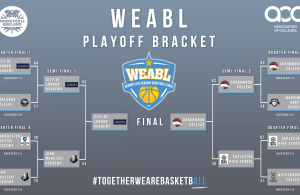 For Charnwood, this is now their 4th consecutive return to the WEABL Finals, where they will face CoLA on April 3 in a repeat of the 2016-2017 Finals. After falling to Barking Abbey last year, coach Krumesh Patel and the Charnwood College Riders will no doubt be hungry to get their hands on some silverware this time around. Game 2 of the WEABL Semi-Finals was the third meeting of the season between CoLA and JMA. 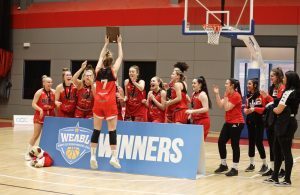 Earlier in the year it was JMA who took the first two games, but this time around the home side were the ones who came away with a 63-54 victory and a ticket to the WEABL Finals on April 3. CoLA came out of the gate with a 7-0 run to begin the game, with Maya Hyacienth (15 points) catching fire and going 3-3 from behind the arc. JMA clawed themselves back into the game after some relentless play and some big shots from Noa Sanchez Marques (16 points), with CoLA ending the first quarter up 24-11. The second quarter was a nip and tuck affair, as despite both teams playing some good basketball in spells, costly turnovers for both sides and foul trouble kept the game at a slow pace. Ashana Hinds then entered the game with two shot clock buzzer-beaters to steady the home side when JMA looked like they would mount a run. JMA came out in the second half with a point to prove, putting coach Jackson Gibbons’ side under pressure with their ball movement and continuous drives to the basket, which forced CoLA to pick up fouls in quick succession and gave JMA an opportunity to close the gap to 13 points going into the final period. The fourth quarter was then a roller coaster ride, with JMA mounting a comeback to get the lead all the way down to just three points at one stage. Maya Hyacienth and Adaobi Nebuwa (9 points) then stepped up to make some big plays in the last two minutes and sealed the game from the free throw line with the final score ending 63-54 to CoLA. City of London Academy advance to face the Charnwood College Riders on April 3 at the Essex Sports Arena. 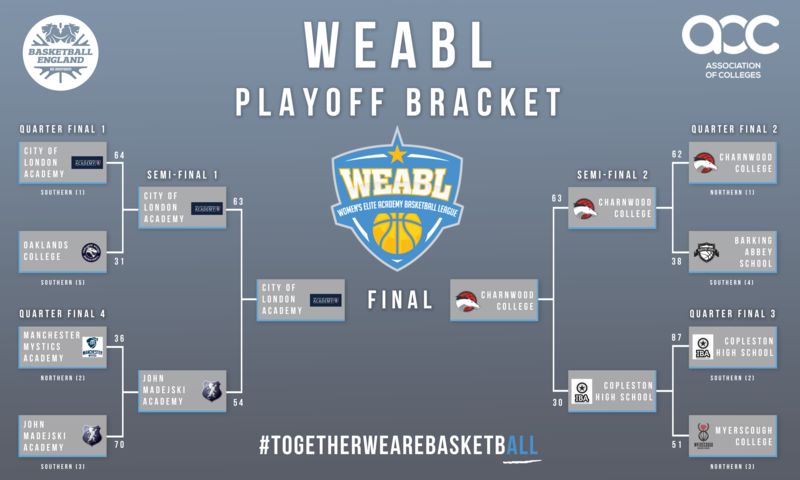 The match-up will be a repeat of the 2016-2017 WEABL Finals, where they hope history will repeat itself. Next Story → WEABL Coach of the Year Awards announced!